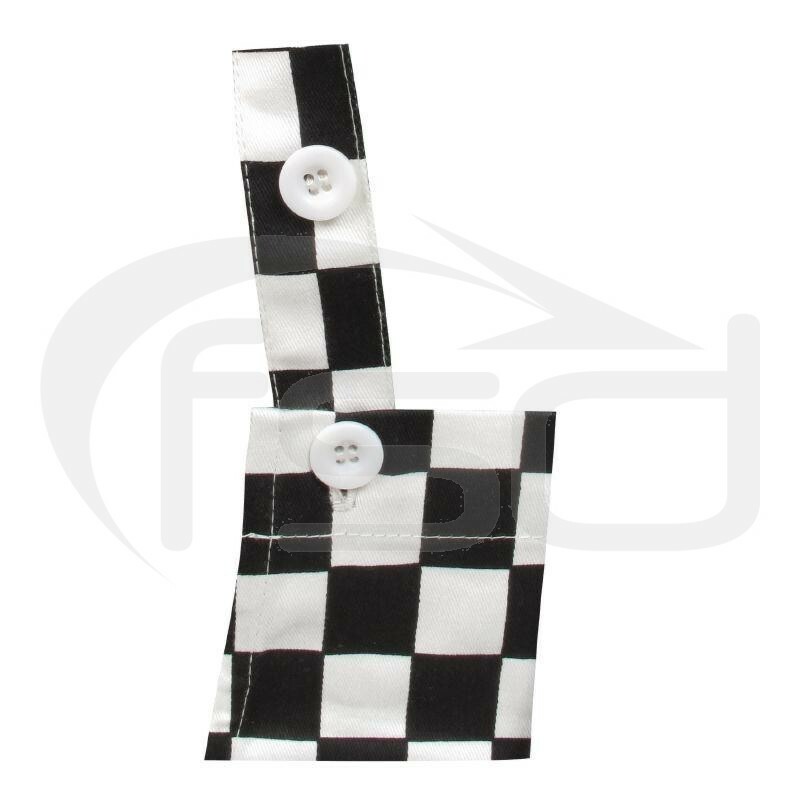 A practical poly-cotton apron in black and white check for children aged between 5 to 10 year olds. 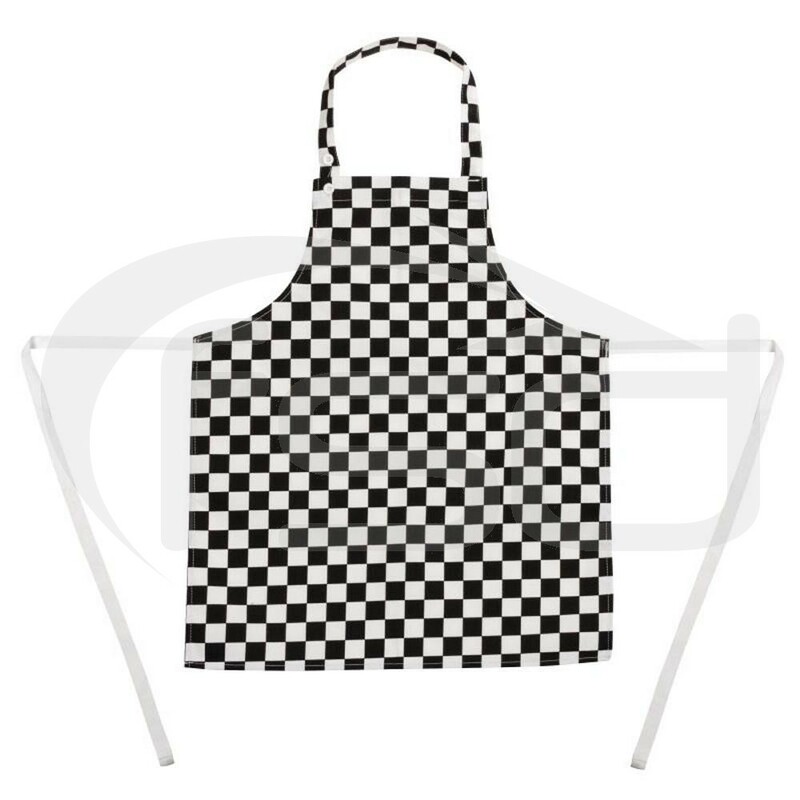 Give children a love of cooking from a young age with this practical poly-cotton apron in a stylish black and white check for children aged between 5 to 10 years old. The apron features an adjustable neck strap for extra comfort. This apron can be matched with additional children's chef wear to complete a uniform.